People who fill out a TravelCenters of America application are looking to join a company that strives to serve professional truck drivers as they go across the country. The company also works to service all of the trucks that come through, offering various forms of maintenance to trucks that need it. Links to apply for jobs at TravelCenters of America are at the bottom of the page. 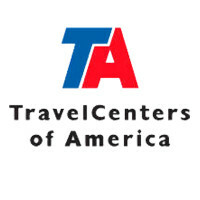 Originally, TravelCenters of America was called Truckstops of America and was founded by Phil Saunders in 1972. Less than a year later, Saunders sold the company to the Ryder Corporation. TravelCenters of America then changed hands throughout the 1980s and 1990s, earning the name change at some point in the process. In the later 1990s, TravelCenters of America settled and began to grow, acquiring Union 76, Burns Bros. Travel Stops, and Travel Ports. In 2007, the company made their largest purchase, Petro Stopping Centers, which they still operate under its original name. Currently, the company is making plans to establish themselves in the Midwest, buying nineteen gas stations across the region. TravelCenters of America tries to be a one stop shop for professional truck drivers and for anybody else on the road. Several stations offer truck maintenance, restaurants, convenience stores, and shower areas for truckers who need it. Some locations also offer twenty-four hour road rescue services for anybody who gets stuck or has issues on the road. There are several TravelCenters of America jobs open at the corporate level. Many of those positions work on making sure that everything is going smoothly in the headquarters, while others check on the various stores that are scattered around the country under the TravelCenters of America and the Petro Stopping Center name. TravelCenters of America careers at the local level are geared towards making sure that every customer has a great experience whenever they come in. There are positions available in every area of the stations because they usually cater to professional truck drivers who need to stop for resting, showering, and eating. How old do you have to be to work at TravelCenters of America? Age requirements vary by position. As you browse TravelCenters of America jobs online, make sure to read all position requirements carefully because some will need various degrees, certifications, or experiences. Most company benefits are given to corporate personnel and management employees. Those benefits include medical/dental/vision insurance, a 401K, holiday and vacation time, and discount programs for computers and cars. Field workers also get merchandise discounts on the various products the company sells. Assistant General Manager – You will assist the General Manager in making sure the store is running smoothly and assume control when they are away from the store. As needed, you will fill in for any empty positions or during rushes. Compensation is around $35,000 a year. Store Cashier – As customers come through, you will quickly check them out and give them the outstanding customer service that is expected. As needed, you will clean the store and stock various displays. Compensation is around $20,000 a year. Fast Food Crew Lead – Making sure that your crew members are working in a safe and clean environment while striving to meet shift targets is a big part of this position. You’ll do some administrative work in order to complete required reports. Compensation is around $20,000 a year. Dishwasher – As customers finish, you’ll go and collect the silverware, dishware, and cooking utensils for them to be cleaned. In order to do your job, you’ll need to make sure that everything is working properly, so doing small maintenance is mandatory. Compensation is around $20,000 a year. Porter – Maintaining a clean and hygienic area is a big part of this position as you will work to keep the restroom and showering areas clean. Having great communication skills is key in order to answer any questions you may be asked. Compensation is around $25,000 a year. Why do you want to work at TravelCenters of America? This is an extremely common interview question, so you should be prepared for it. Talk about what drew you to the company, whether it was the culture or benefits and why it’s your first choice in places to work. What experience do you have? Highlight all of your relevant experience. If you don’t have any, talk about what you can bring to the position and offer the company. Use plenty of examples to enhance and support any claims you may make. Where do you see yourself in the next few years? Your interviewer wants to know if you see yourself with the company. Make sure to be realistic in your career expectations, but talk about how you’re willing to take on extra responsibilities and challenges in order to move up in the company. As TravelCenters of America relies heavily on customer service for their business, so you may be asked this question in the form of a hypothetical situation: How would you take care of an upset customer? Be practical and realistic as you walk your interviewer through the steps you would take in order to turn the customer’s experience around. Several positions need you to stand for long periods of time or to lift heavy objects throughout your shift, so you may be asked: Is there anything that could keep you from doing your job? Be honest and explain anything that you cannot do and why. The company will most likely be willing to work with you to enable you to work. How to apply for TravelCenters of America online: start by eliminating Petro from you search before looking at the available positions. Once you’ve done that, find the job you want in the location you want, making sure to read all job descriptions before filling out your TravelCenters of America application. There is no printable application for TravelCenters of America. Before your interview, do research on TravelCenters of America and the industry in order to come up with a list of questions that you can ask. For an entry level position, this may seem excessive, but it will place you in front of the other candidates as it shows that you think ahead. Your interview will probably take place in a semi-formal setting, so you should dress appropriately in business casual, if you can. If you’ve applied for a managerial or supervisory position, a suit would be appropriate. Have a friendly and positive demeanor when you attend you interview because it will give a good impression. Make sure to show gratitude at the opportunity to interview with the company. Afterwards, inquire about the best way to check on your hiring status as few applicants will learn if they got the job during the interview because TravelCenters of America will want to screen all candidates before making a final decision. Phillips 66: For career opportunities, fill out the Phillips 66 online application. Kum & Go: For career opportunities, fill out the Kum & Go online application. CITGO: Checkout the application page for work at CITGO. Kangaroo Express: Checkout the application page for work at Kangaroo Express. Valero: For career opportunities, fill out the Valero online application.